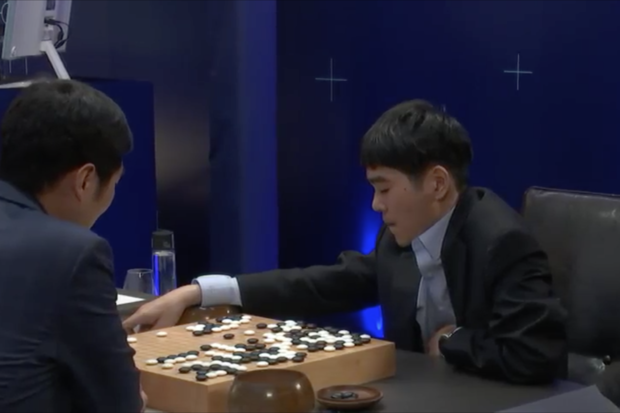 Google DeepMind's AlphaGo was defeated Sunday by Lee Se-dol, the South Korean player that the program had defeated in three consecutive games. The loss stymies the AI system's prospects of equaling a 5-0 win against an European Go champion in October. A move by Lee, described by commentators as "brilliant," was followed immediately after by a mistake by the computer program, leading Lee to say that AlphaGo, though a formidable opponent, has weaknesses or bugs that degrades its performance when faced with unexpected moves. It also did not perform as well when it has to play with black pieces and has to start the board game. The fifth and final game in the contest is being played Tuesday. AlphaGo won the tournament on Saturday with three consecutive wins against Lee. But the player warned after that game that the program made different and sometimes superior moves than human beings, but also had weaknesses. Lee “was too good for us today” and pressured AlphaGo into a mistake that it couldn’t recover from, DeepMind CEO Demis Hassabis said in a Twitter message. The AI company in the U.K. was acquired by Google in 2014. DeepMind reassured users that the program was still a prototype and would be tested and strengthened before it is deployed in other intended applications such as healthcare. Hassabis said his team would work out on ironing out the weaknesses identified by Lee, which was one of the main purposes of testing AlphaGo against the Go champion and other opponents. In the game, players take turns to place black or white pieces, called “stones,” on the 19-by-19 line grid, to aim to capture the opponent's stones by surrounding them and encircling more empty space as territory. Lee dismissed reports that he was at a disadvantage before AlphaGo as the program had previous plays by the Korean player stored in its database, which the player did not have about the program's game. Hassabis said that AlphaGo had not been trained specifically on Lee's games.